Located in historic Cleveland Circle, Waterstone at the Circle’s exquisite elegance, exceptional services, amenities, dining and more will come together to offer discerning seniors the ultimate in convenience and indulgence. For the finest quality in luxury retirement living, we welcome you to Waterstone at the Circle. Waterstone at the Circle, located in Boston’s historic Cleveland Circle neighborhood, is more than just independent living in Boston ... it’s a sophisticated urban setting for today’s active senior. Enjoy best-in-class service and a vibrant lifestyle with art and cultural, and historical attractions right outside your front door. From high-end amenities to gourmet dining and more, experience the best of city and suburban life at our upscale senior living community located on the crossroads of Brookline and Chestnut Hill. Welcome home to comfort, sophistication and elegance. 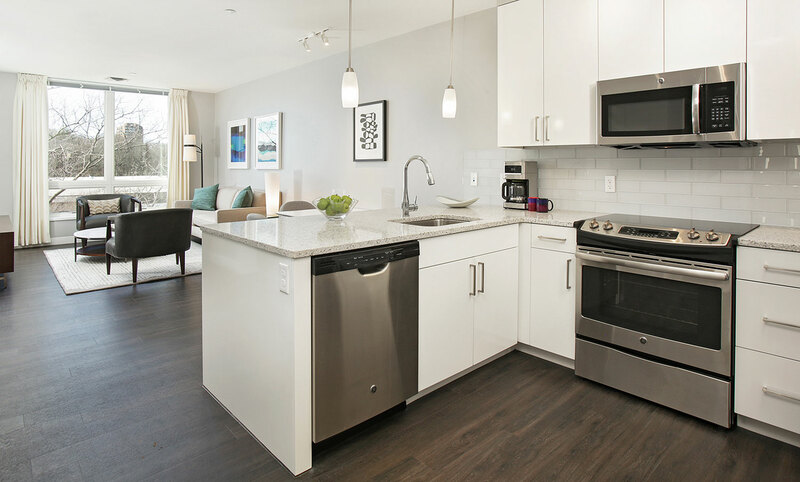 Each of our 92 independent living apartments is the height of luxury and modernity, with sophisticated design, upscale features and stunning views of Boston and Brookline. Discover how amazing independent living in Boston can be with one- or two-bedroom apartments, a variety of floor plans and monthly rentals. Locally sourced ingredients, seasonal offerings and ever-changing menus... who knew senior living in Boston could be so delicious? Our professional chefs create five-star masterpieces to please the palate, inspire conversation and encourage socialization in our upscale dining room. Every day is a new treat at our independent living community in Boston.